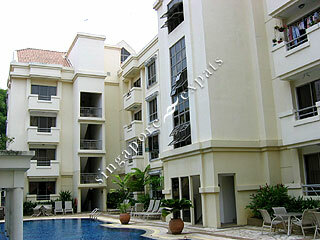 Palm Mansions is a low density development with only 30 units located at Pasir Panjang Road. It is near to the PSA, Pasir Panjang Wholesale Centre, Haw Par Villa (Tiger Palm Gardens), International Science Park, West Coast Park and National University of Singapore (NUS). It is accessible from the other parts of Singapore via the Ayer Rajah Expressway (AYE) and West Coast Highway. Residents can make use of the amenities like shops and markets in Pasir Panjang Wholesale Centre. The surrounding is clean and quiet. Near to university, Science Parks, Mapletree, PSA and easy commute to the Central Business District. Nearest MRT is within 5mins walk only.